I recently met with Il Maestro of new age perfumery, Francis Kurkdjian, on his fleeting trip to London and asked him why it had taken him so long to delve into an Oud perfume. Francis tactfully told me that he had been ‘encouraged’ by his business partner to build Oud into his narrow yet pin pointedly accurate stable of perfumes that includes the blindingly beautiful Lumiere Noire, Apom, Aqua Universalis and the deeply evocative Pour Le Soir which always leaves a trail of mystery wafting enticingly behind the wearer. Kurkdjian took his rare, raw Oud from Laos and added ceder wood from the Atlas mountains, Indonesian patchouli, saffron and elemi gum for sparks of light and a golden hue to complement the dark, deep Oud. 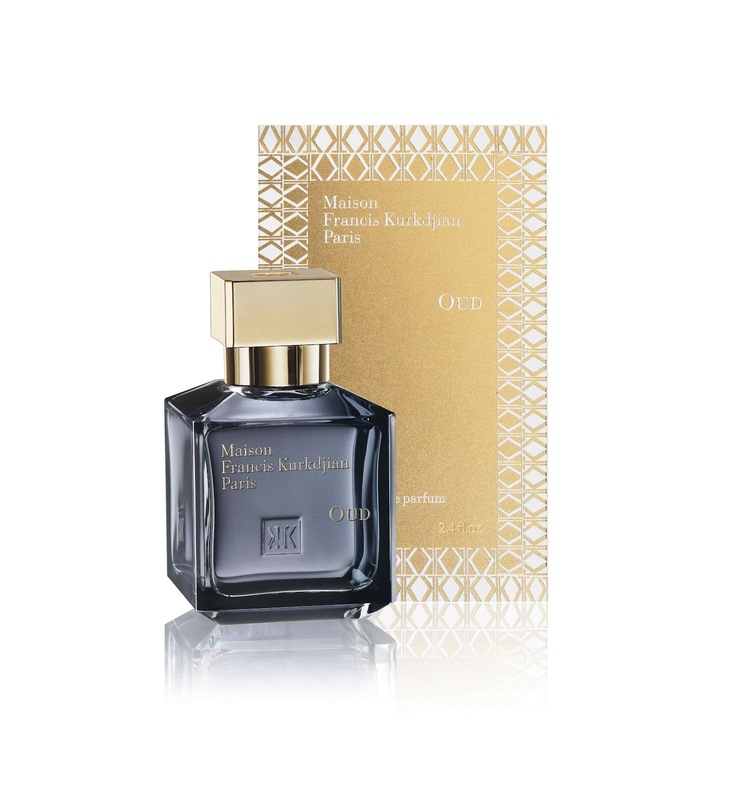 His setting for MFK Oud is a ‘dark-blue star-studded night’ replicated in the grey blue, smoky glass bottle with its trademark Maison FK square golden cap. The fragrance is a lot lighter than one would normally expect from an Oud but deliciously honed, modern and approachable. This is a day-time Oud. An Oud for minimalist sophisticates. An Oud for all seasons. The hint of patchouli is there for sure but its the elemi gum that lightens this with a sprinkling of hot stardust. There’s also, unusually, the barest trace of dill for sharpness. This isn’t for those who like their Ouds mean and moody and ‘catchy at the back of the throat’y’ but it is for your discerning niche fragrance wearer who may be dipping their virgin toes in Oud territory. Francis Kurkdian’s Oud is a lot different. It may surprise some and disappoint others but it’s undeniably another Maison Francis Kurkdjian winner.